If you need to protect goods or shipments, a good solution for your business is large or small bubble wrap in rolls. We stock a wide range of lightweight, good quality Jiffy bubble wrap, including anti-static bubble wrap, mini bubble wrap rolls, small bubble and large bubble wrap rolls. Wrapping and filling your postal boxes with bubble wrap will ensure that your packages arrive safely. For advice on which bubble wrap to choose to best protect your items please see our Secrets of Bubble Wrap FAQ section (or at the bottom of this page), where you will find the answers to common questions. 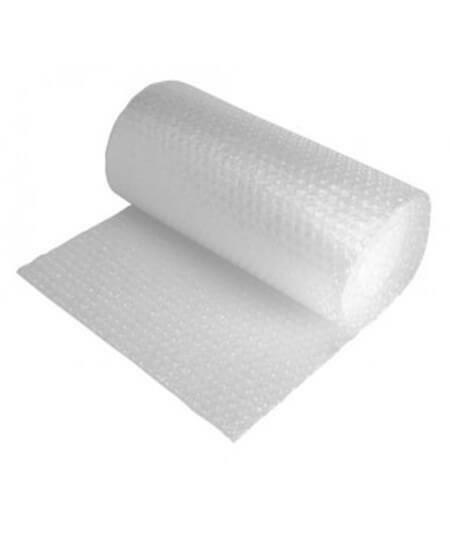 Alternatives to bubble wrap rolls include polyethylene foam, loose fill packing peanuts, air cushions produced by our air cushion machines and we also stock shipping bags that contain bubble wrap padding. If you’re not sure which item is the most appropriate for your needs, get in touch with our helpful team today. Which bubble wrap roll to use for repro furniture? Can I use bubble wrap rolls to cover my swimming pool? Where can I buy bubble wrap rolls? 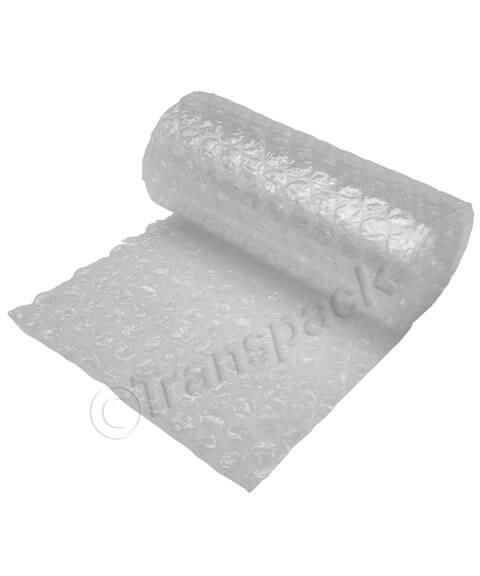 Here at Transpack, we have a great variety of lightweight, high-quality bubble wrap available to buy in bulk for whatever need your business has. We offer varying sizes, including large bubble wrap in a width of up to 1500mm, small bubble wrap that’s just 300mm wide and even mini bubble wrap rolls, perfect for home or office use. 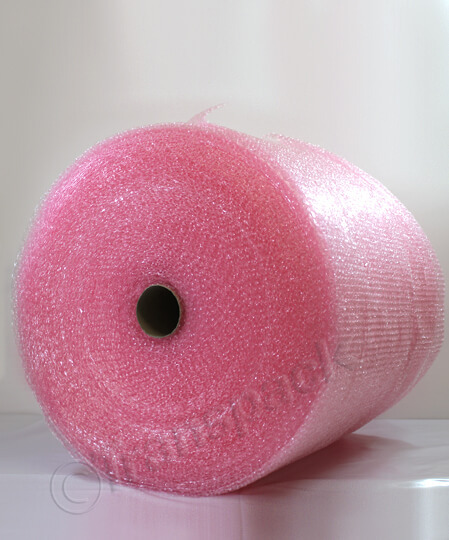 Plus, we also stock anti-static bubble wrap, which has a pink tint for easy identification. We offer free delivery to mainland UK for orders over £35 (ex VAT) and offer a five percent discount for all online orders. How do I use bubble bags? Simply place your item into the bubble bag through the large opening at the top, remove the tape from the adhesive strip and fold the top of the bag down (like you would do with an envelope) to close the bag and seal your item inside. You don’t need to place any other protective packaging in with your item as the bubble bag offers all the protection you need. How thick is normal bubble wrap? The average height of a bubble in bubble wrap is 4mm. When considering the items, you want to wrap as a company you’ll need to make a decision about whether to go with small or large bubbles. Large bubbles are softer and ideal for delicate items as they mould to the shape of whatever you need to wrap. Where can I buy bubble wrap in bulk or large order sizes? At Transpack, we offer multi-purchase discounts allowing large-quantity purchasers to benefit from buying in bulk and wholesale. Typically, you’ll find a discount applied if you buy three or more of one item and an additional larger discount applied if you purchase six or more. All our bubble wrap comes in 100m length rolls and is ideal for lots of business shipping, delivery, and product movement needs.